At our recent MATs Summit, regional school commissioner Tim Coulson spoke to us about the role of the RSC and developing successful relationships with trusts. What do you think of the suggestion we heard earlier from Dame Dana Ross-Wawrzynski that MAT inspections should be based on an appraisal system with progress towards objectives assessed? Tim: It’s not far removed from what RSCs currently do. We meet about this time of year with every trust. We don’t necessarily call it an appraisal but we discuss what their plans are, what they’re doing and what help they would like. In this review we focus a lot on how the schools are doing now, in terms of progress in the trust, but I do understand what she was saying about looking at the trust in the long term in relation to their development plan. The bottom line is that the main job of an RSC is to license people to get on with their work but to be pretty fierce about their performance while doing so. For us if schools aren’t doing well this will always be discussed. I don’t think she would disagree with having that conversation, I think she was probably suggesting that the range of measures we’re using aren’t wide enough. The relationship between an RSC and a trust can be tricky. RSCs are there to support trusts and help them expand where they are able but ultimately you are there to hold them accountable. 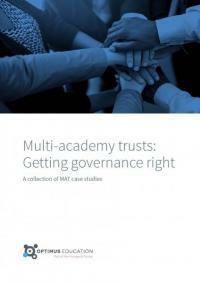 How can a trust build a successful relationship with their RSC? Tim: In the past we used to only visit academies who were performing badly and of course in some cases underperformance was the reason an academy had joined a trust. We’re doing things differently this year which we hope is better. We’re visiting an underperforming school and a school within the same trust that is doing well to better understand how the trust is working with its schools. We’re trying to establish why the trust is finding it hard with a school that is underperforming. We want to determine whether the trust is struggling, whether it was the right decision to take on this school, or whether the trust have a great plan in place that they are working towards to improve the school and time is needed. I would also advise trusts to get in contact with their RSC and talk to them. A successful relationship is a two way thing. With the new health checks coming into force next year, will we see a slow in the expansion of MATs? Tim: I don’t think so. The health checks will be based on a volunteer scheme and the trusts who volunteer will be those who have a plan to grow. I think the checks will actually encourage trusts and give them the confidence to expand, particularly those who have been identified by RSCs as being in a strong position to grow. A CEO, finance director and chair of trustees from different trusts will help an RSC decide whether a health check is met and a trust can expand. These will be volunteers from experienced, successful and larger MATs than those wanting to expand. The panel of three will visit a trust and undertake the health check, offering advice and support, and report back both to the RSC and the trust. The panel have been in that position, they know what worked for them and what didn’t and I think the shared experience will enable very honest, down to earth discussions. What are the immediate priorities for your region? Tim: Norfolk and Suffolk. In terms of educational performance these areas are weaker than the rest of the region and we have fewer sponsors. We need to encourage more sponsors both within Norfolk and Suffolk and encourage sponsors to move into the areas. We’ve started to have success with introducing sponsors into Suffolk and we want to have more of that in Norfolk. Each region has increased capacity by adding two deputy RSCs. Currently there are no future plans for more regions or RSCs. As we see more MATs in the future, how important are events like the multi-academy trusts summit? Tim: Extremely important. The risk is that everyone is reinventing the wheel and we ought to be better as trusts now. The system now needs to accelerate those MATs in the early stages of growth and not have them go through all the bumps and bruises that earlier trusts went through. A revolution is happening and we are probably seeing an irreversible change in the system. We want trusts to be able to talk to each other, learn from each other and be really honest about what worked and what didn’t. We want the trusts two years behind those who first developed to learn from the mistakes made and not repeat them.